Adventures in Bali are very exciting for every traveller. A great selection of water sports you can do in Bali such as surfing, scuba diving, flying fish or explore Nusa Lembongan and Nusa Penida with cruise. You can go to Dreamland Beach, and other places such as the Medewi Beach which is famous for surfing. If you are a huge fan of diving, then you can go to Amed, Tulamben and Nusa Penida. 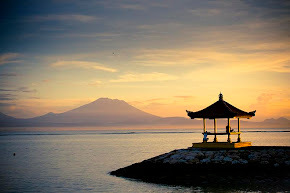 The island of Bali is a tropical island is not as extensive, but has-many interesting places for tourists both domestic and foreign, especially if you are a true connoisseur of water sports. If you go to Bali, you need to go to Tanjung Benoa which is located near to the Nusa Dua resort. In Tanjung Benoa you can try a variety of water sports such as diving, flying fish, banana boat, or rent a mini submarine, so you can see marine life, which was amazing. If you are holidaying with children daughters, then make sure the children to experience the adventure to see marine life with their own eyes, they would get more real knowledge about marine biology. Most importantly, your children will have a concern for the environment. After testing the adrenaline with water though, you could take your children watch the sunset while having seafood dinner at Jimbaran beach, also not far from Tanjung Benoa. You can also take them to watch the Kecak Dance and other Balinese performing art at the Garuda Wisnu Kencana or Pura Uluwatu.